Think of packing a 24-hour tactical backpack like building a pyramid. Put heavy items on the bottom, medium-weight items in the middle and light items on top. This configuration is best for your back and usually easiest to carry, especially if you’re making a long trek. 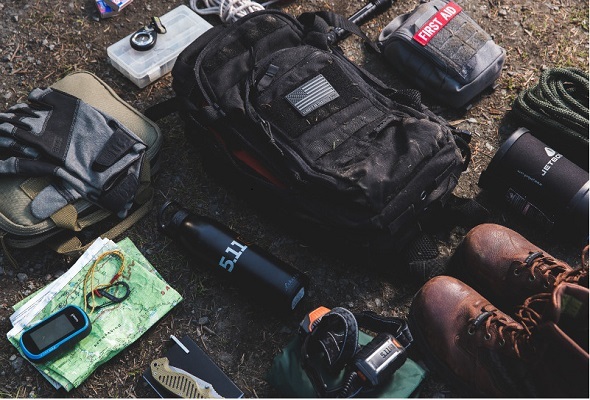 Use the outside compartments of your pack or MOLLE attachments for items you need to access frequently or easily, like flashlights, a tactical knife or multitool, radios and your first aid kit. The bottom of your pack is for gear you only need to access when you’re done carrying it for the day. Your bedding, additional clothing and most of your hygiene items belong on the bottom, and so do all your heaviest pieces of gear, like entrenching tools. Your shelter half, poncho liner or whatever you use to set up camp for the night belongs in the middle of your bag. The middle of your bag is also great place for extra food, water and other items you probably won’t need while you’re on the go. Keep a change of socks, your poncho, self-defense items and navigation gear on the top layer of your bag so you can access them easily. Mid-mission snacks, water purification tablets and other small items belong there, too. If your tactical backpack is 5.11 SlickStick or MOLLE compatible, like the All Hazards Nitro Backpack 12L, make the most of it. Attach canteens, your first aid gear, eye and ear protection, holsters and other essentials to the convenient webbing platform. Unlike a run-of-the-mill tactical backpack, a survival backpack will keep you going when you’re away from civilization. This bag should contain enough gear to sustain you for at least 72 hours – longer if you’re not anticipating a short-term emergency or you’re intentionally heading out on your own. 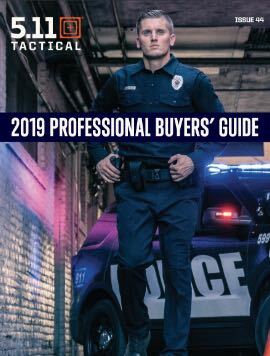 You’ll include the same basic gear outlined above, plus extra food, water, and safety, shelter, and self-defense gear. The key to properly packing a tactical backpack is to put the heavy, less-frequently-needed items on the bottom and work your way up, piling in lighter items as you go. Your pack needs to give you easy access to the gear you need most when you’re on the move – packing from the bottom up makes that possible.